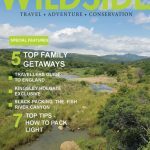 Wildside is a long established Travel, Adventure & Conservation magazine committed to providing quality content which includes enthralling stories and beautiful photography on all things travel, adventure, and conservation related. Established for 19 years, Wildside has marketplace credibility and dedicated readers who are captivated by our world and enchanted by the beauty of its animals, birds, landscapes, wilderness, mountains and the oceans. It is for people who seek the harmony of spirit by being in nature, and for those who have a sense of adventure. Our readers share the passionate desire of our partners, sponsors, and advertisers to protect wild places for the spiritual well-being and enjoyment of future generations.